Our cattle, a wonderful herd of hardy Jersey, Devon, Ayrshire, British White and cross cattle are rotationally grazed on nutrient-rich, certified organic pasture. Our milk, repeatedly earning superior quality awards contributes to the award winning array of Organic Valley products available nationwide. 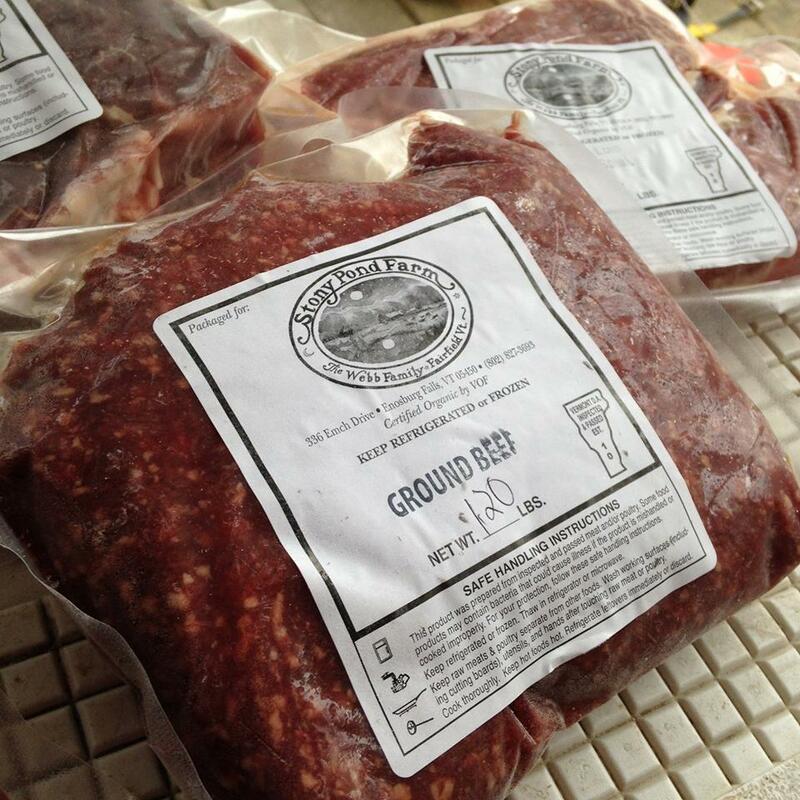 Our beef is rich in flavor, nutritious, and free of antibiotics and growth hormones. 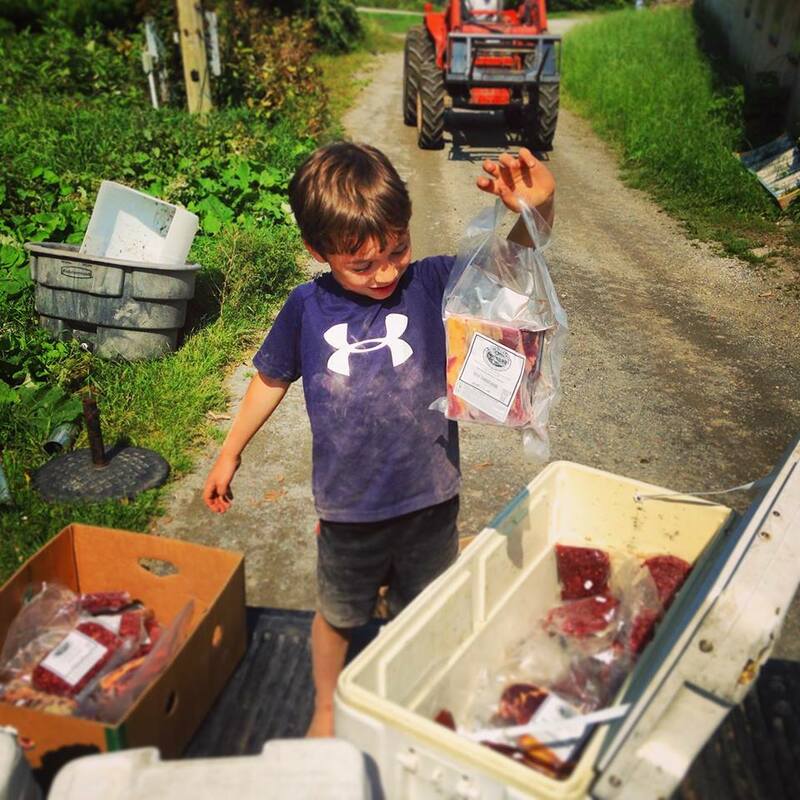 Stony Pond Farm organic beef is available in frozen cuts at the Burlington Farmers' Market, May through October, and year around at our on-farm store. We are excited to continue our commitment to growing the best quality food for your family. 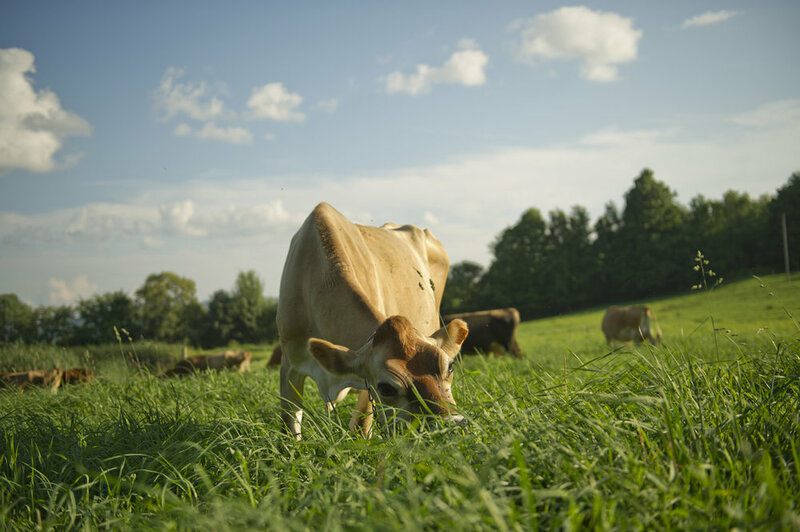 In the spring of 2007 we joined the farmer owned co-op, Organic Valley, and began producing superior quality milk from a beautiful herd of Jersey cows and a handful of obliging Devon’s. The extraordinary curiosity, docile nature, and adorable faces of the Jersey cow attracted us to the breed, not to mention their small size and wonderful butterfat. Tyler traveled all over New England optimistically encouraging friends and farmers to part with one or two of their cows to help us begin our dairy herd. The cows all had fantastic grazing skills, and an overwhelming willingness to tolerate our newness. This group of cows won our hearts, and taught us more about the earth, farming, and our relationship with food then any amount of schooling or reading could ever have done. Our customers are discovering the unique flavors and health benefits of beef from cattle that spend their entire lives consuming nutrient-rich forage—grazing on lush pasture or consuming organic nutrient-dense grass hay from our farm fields in an open-air, deep-bedded pack barn. 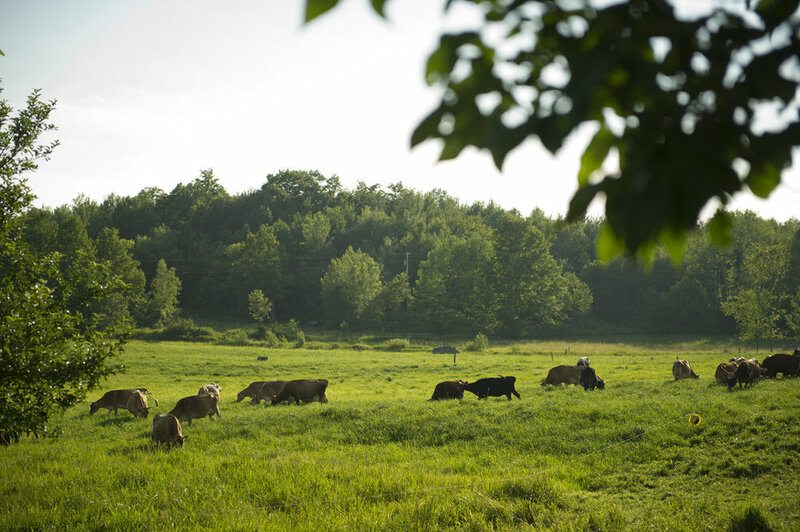 Our cows spend their days peacefully eating what nature designed them to eat. They have ample room to roam, exercise, play, and relax. Our cattle receive a proper diet of cultivated grasses and native browse. Their feed is never supplemented with the antibiotics, feedstuffs, and growth hormones routinely used on cattle that are forced to live and grow in crowded, stressful conditions. When you eat pasture-raised meats from our farm, you can be sure that you are nurturing your body with food that enhances your well being and promotes good health.